My first cucumber from the garden. There’s nothing better than picking fresh vegetables and eating it on the same day. The taste is fresher than any store bought produce on the market, even organic vegetables. Plus, all the nutrients are all there. Store bought vegetables travel from afar and takes days even weeks before we get them. By the time we buy them in the supermarket, they have already lost most of their nutrients. I’m looking forward to juicing these lovely cucumbers. 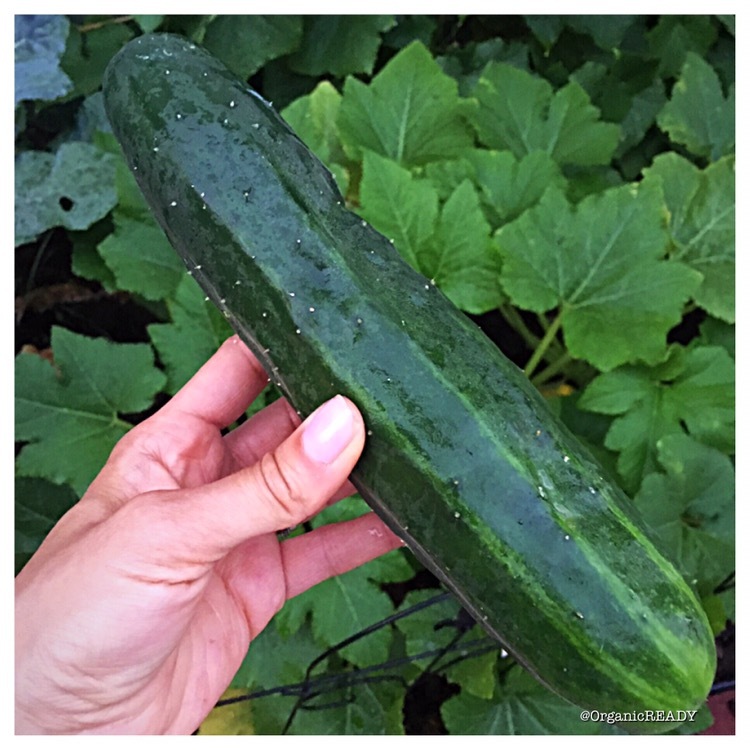 If you didn’t know, eating the skin of organically grown cucumbers are highly beneficial. 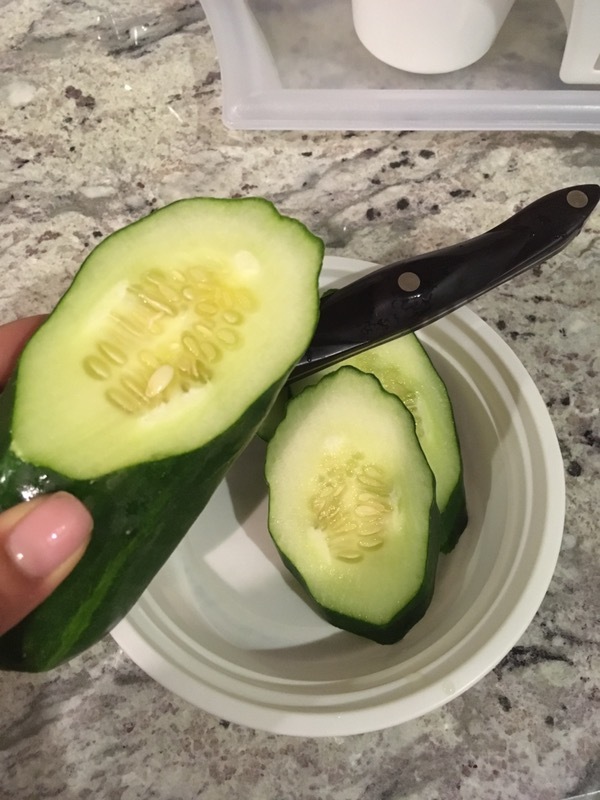 One, the wax on organic cucumbers are non-synthetic and doesn’t contain harmful chemicals, and two the skin contains more nutrients than the flesh. Conventionally grown is another story. Those cucumbers contains pesticides, synthetic wax and nasty chemicals. Wash it thoroughly with vinegar and water, then peel and peel the skin all off. Since I grow my own, a simple cold water rinse is sufficient. As you see above, nothing’s going to waste😘. For more information about the health benefits of cucumbers click here.